Let’s face it – commuting in Portland is tough on engines. As we all know, the engine is the life of the car. Without it, you have a very nice metal art sculpture on your hands. Therefore, engine maintenance and service are essential to the overall health of your vehicle. Clarke’s Discount is a trusted engine repair shop in Aloha, OR. 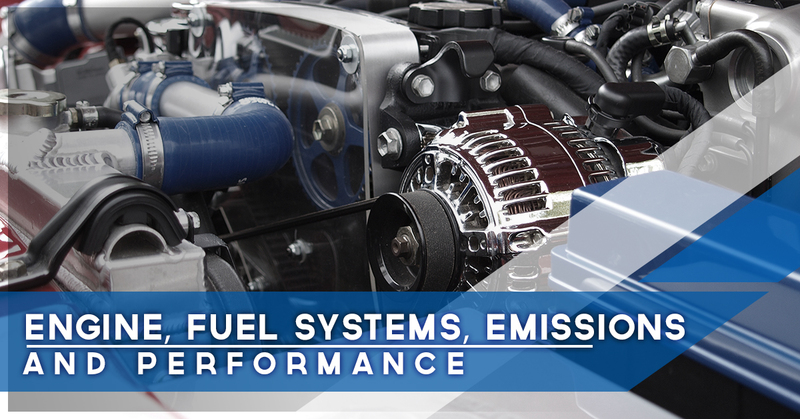 We specialize in Asian and Domestic makes and models for all engine, fuel system, emission, and performance services. Engine performance service diagnostics: Make sure the engine is always running in peak condition with routine diagnostics. This quick test can identify possible problems or give a green light for good use. Standard and electronic ignition systems: Newer ignition systems are suspected to help increase fuel efficiency. Whether you need an ignition system replaced or repaired, you can count on Clarke’s to work on both standard and electronic systems. Fuel injection service and component analysis: There are many pieces and components that help the engine and fuel injection parts work fluidly. Fuel injection service cleans the injectors, which can help the engine start better initially, idle smoothly, and increase miles per gallon for an added bonus. Emission controls: Your vehicle may have failed to pass emissions or a light on the dashboard may be telling you it’s time to work on emission controls. Either way, these controls help limit the amount of pollution your car emits into the air during combustion. Pattern failure analysis: For each operation your car performs, there is a list of technical qualifications that can fail or defect. Through analysis of these repeating failures, a professional mechanic can help repair a system as a whole. Fuel pump service: This service makes sure the fuel moves properly between the tank and the engine. It also includes the exchange or repair of electrical connectors, fuel pickups, pump relays, and filters whenever necessary, which can help prevent costly replacement of the entire system. Emission 4-gas analysis: Test the carbon monoxide (CO), carbon dioxide (CO2), hydrocarbon (HC), and oxygen (O2) readings to show the proper dependency of these gases during combustion for the air-fuel ratio. Fuel tank replacement and services: There can be a variety of reasons one may need to replace or repair a fuel tank. You may have a leak or puncture in the tank, or you may want to install an aftermarket gas tank. Clarke’s can help you for any reason. Gas gauge and fuel tank sending unit service: Over time, the gas gauge may falter from traditional factory settings, resulting in running out of fuel because the gauge read incorrectly or the fuel may not be able to move properly between chambers. A quick service to set things back on track is to clean and re-calibrate factory settings. Throttle body repairs with clean and service: A decrease in engine power is an indicator that the throttle body may need to be repaired. It helps manage fluid flow in relation to engine power. This service includes cleaning the bore and throttle blade as well as adjusting the sensor. Vacuum leaks diagnosed with smoke detection: Intake and vacuum leaks can be quite common and are not hard to detect or repair — so long as it is tested routinely. Clarke’s Discount uses smoke detection to spot leaks.